I am unable to start or initialize IBM WebSphere. I have a clean install of Linux CentOS. 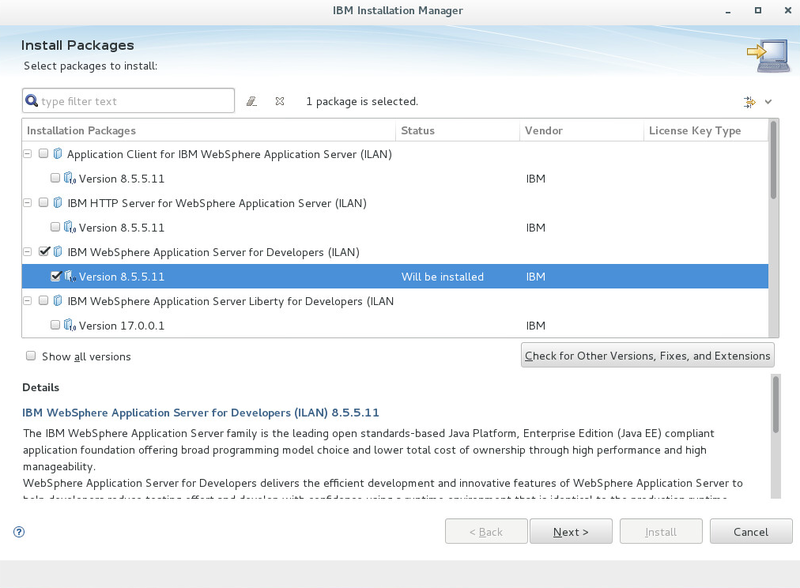 I have installed IBMs Installation Manager. In IBMs Installation Manager, I have added repository http://www.ibm.com/software/repositorymanager/V85WASDeveloperILAN/repository.config, and I was then able to successfully install IBM WebSphere Application Server for Developers, version 8.5.5.11. Next I have created a profile named AppSrv01. In the firststeps console, I select Installation verification. The log file displays the following. If I Start the server, the same messages are displayed. I am not sure why the initialization displays errors, and whey the server cannot start, on a clean install. Just in case others run into the same problem, I want to share the fix for my environment. DNS was unable to resolve the WebSphere hostname to the WebSphere IP address. 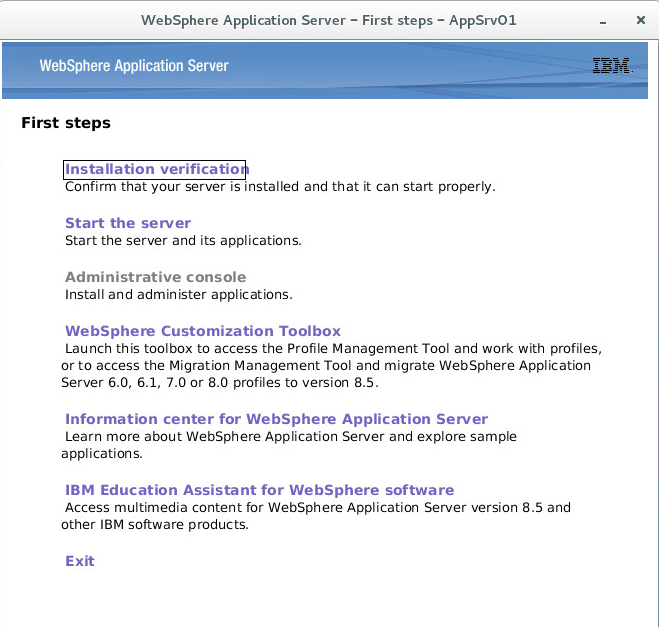 Configuring the DNS server to resolve the WebSphere hostname to the WebSphere IP address fixed the issue. Not the answer you're looking for? Browse other questions tagged websphere or ask your own question.